Garden Center and Tree Nursery Located in New Paltz and Gardiner area. The go-to evergreen tree for privacy screening in the Hudson Valley. 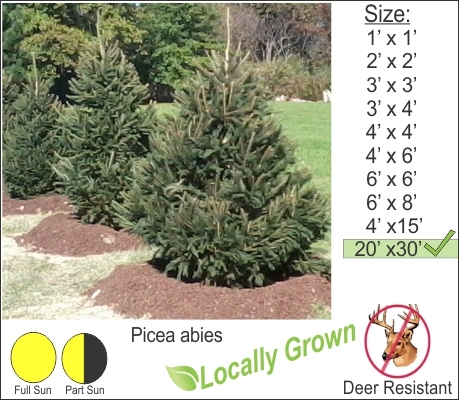 Norway Spruce is a good choice combining fast growing evergreen coverage and excellent deer resistance. This spruce can be planted in tough locations. Norway Spruce has proven itself over the decades and is a good choice for screening out unsightly views.